This fantastic package contains everything a young budding DIY enthusiast needs to get themselves started on using tools and construction projects. 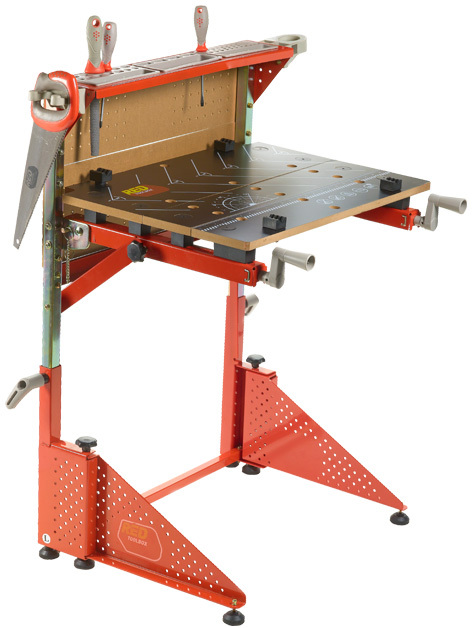 The multi-purpose Red Toolbox Workbench has an adjustable height large work surface area that folds away when not in use. As well as a sturdy base, it also incorporates a rack for storing tools when they’re not needed. The comprehensive Red Toolbox Tool Set includes a saw, screwdriver, hammer and file, as well as 2 x 2” clamps. As if that’s not enough, kids can really get used to their tools and workbench with a building project. Once made, the handy wooden toolbox incorporates an easy to carry handle for moving tools around the house or workshop. 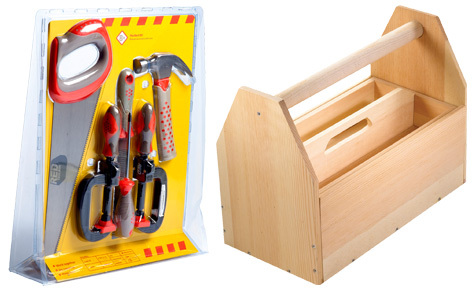 These children's DIY toys are just part of a much larger range from Red Toolbox. As well as sets containing many different useable tools, there's a whole series of wooden building sets that cater for beginners up to experienced users. Please tell us what you think of the Red Toolbox Workbench by Red Toolbox and ARK DIY.